The classic childrens favorite, with an "open air" concept. It creates a safe, enjoyable atmosphere for kids to bounce endlessly! Our small Castle Bounce is a 15' cube. The medium size Castle Bounce is 16' wide by 18' long by 15' high. 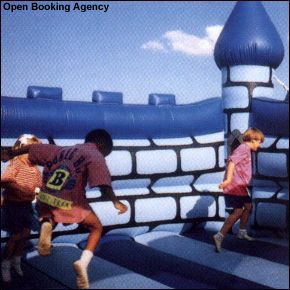 The large Castle Bounce is 20' wide by 21' long by 15' high.